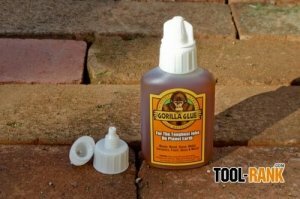 I always roll with a bottle of Gorilla Glue in my tool box, as one never knows when he/she might need to glue something up. But reaching for that glue bottle only to find out that it has cured in the bottle, can be a real problem. The thing about Gorilla Glue is that it reacts and cures using water, and evidently, even the moisture in the atmosphere is enough to start the curing process. Knowing how unhappy dried up glue makes us, Gorilla Glue set out to fix the problem. Gorilla Glue engineered a new cap design that works twice as hard to prevent air and moisture from getting in, thus keeping our glue fresher, longer. 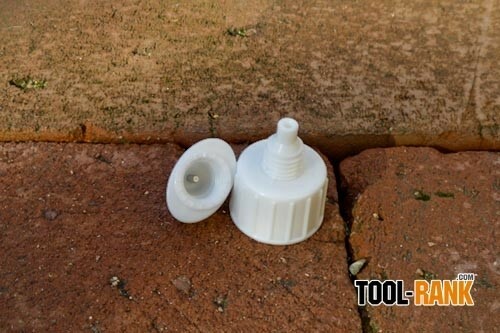 What they came up with was a cap that has a stainless steel pin, and when the cap is screwed on, it pushes the pin into the hole on the glue bottle. The cap has also been ergonomically redesigned with wings to be easier to screw and unscrew. I also noticed that the lid and the new cap have ridges that lock together to help prevent self-unscrewing. It looks like Gorilla Glue really thought things out. 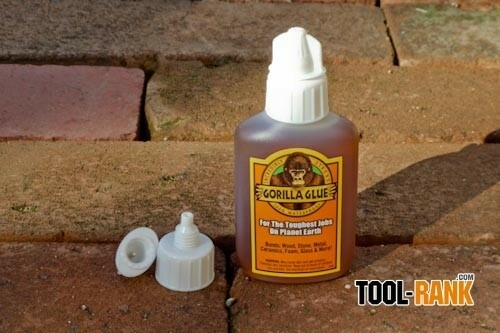 You can get the new cap on 2 oz Gorilla Glue products. I hope they are working on a new cap for there larger bottle as well. Be sure to check out the video below. Most people are not using their glue on a daily basis, so when they need it, they want it to work without any hassle. The new 2 oz. anti-clog cap is now as reliable as their glue. Check out this video featuring out Gorilla Glue Lab Team and the development of the new Gorilla Glue 2 oz. cap. The improved cap boasts a twofold approach to sealing with advanced handling improvements, offering: 1. A stainless steel pin inserted in the tip of the cap to eliminate clogging at the tip of the nozzle. Thepin acts as an air tight lock, allowing the glue to flow freely on the first squeeze. 2. The new air tight precision seal keeps air and moisture out of the bottle, so that it lasts longer.Compression forces over the surface area of the inner wall of the lid eliminate even the smallestamount of air and moisture from attacking the glue. 3. An ergonomic wing nut grip allows for easy opening and closing of the product. The gripping areaon the cap has increased, and the wing nut allows for an even distribution of force. This not only makes it simple for anyone to properly remove and replace the cap, but also allows for foolproof storage, every time.